In support of our efforts to spread Christmas cheer for the Edmonton Food Bank, Eileen has offered us a brief glimpse into her family's Christmas kitchen. She's also shared her "Fruitcake" recipe. 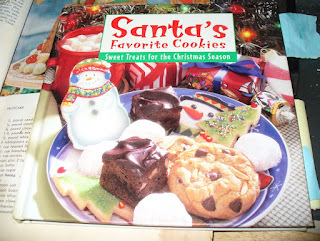 If you make this recipe today, it will be ready to serve, right in time for Christmas. Let me know how it turns out. Full disclosure: I am a notorious cook book thief. Somehow I ended up with my daughter’s Christmas cookie book, my grandmother’s recipe binder, and my mother’s well used and well loved cook book. Don’t know how it happened, but it did! 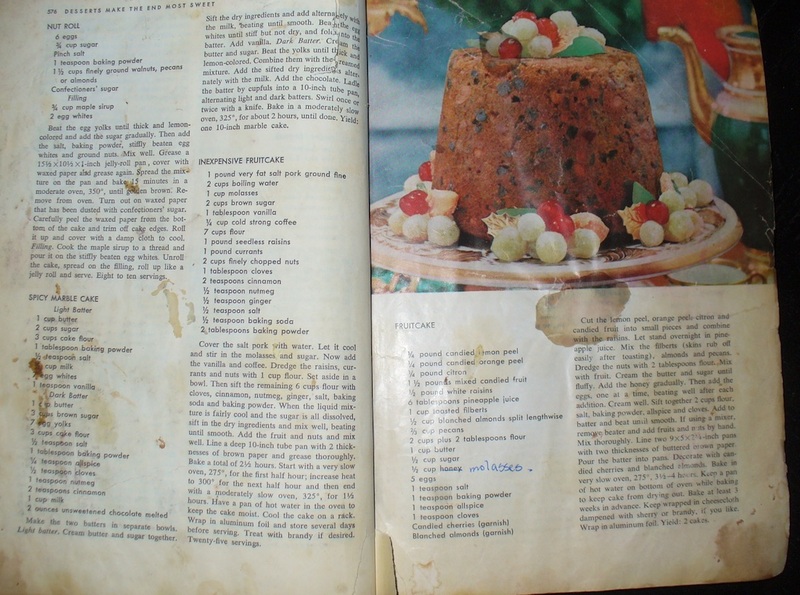 In my mom’s cook book is a recipe just called “Fruitcake.” The page is covered in drips and drops and batter splats. Ingredients are crossed out and others added, in my mom’s handwriting. A well used page, if there ever was one. And one of my favourite pages in the whole book. Here’s why. I want you to think about this for just a second. She had five kids. Five. She’d organize us around the big kitchen table (a necessity in a farm kitchen) and set us to work, mixing and pouring and dropping and singing and yelling. (And occasionally, hitting. Hey, it happens.) Sometimes she could convince us to sing Christmas carols, but often we’d sing the “Bungalow” song, over and over and over again. Delightful. Through all that, somehow, she’d manage to get the ingredients into the big pot (the one she normally used for canning. That thing was huge!) and mixed. And then the magic would begin. 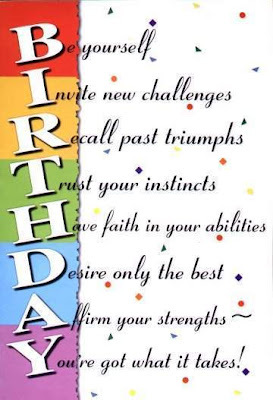 Sometime my wish was just for me, but sometimes it wasn’t. Sometimes, my wish was for everyone else. This, I believe, is where I learned that doing for others (even if it was just a wish) was, in some ways, better than doing for myself. Cut the lemon peel, orange peel, citron and candied fruit into small pieces and combine with the raisins. Let stand overnight in pineapple juice. Mix the filberts (skins rub off easily after toasting), almonds and pecans. Dredge the nuts with 2 tablespoons flour. Mix with fruit. Cram the butter and sugar until fluffy. Then add the eggs, one at a time, beating well after each addition. Cream well. Sift together 2 cups flour, salt, baking powder, allspice and cloves. Add to the batter and beat until smooth. If using a mixer, remove beater and add fruits and nuts by hand. Mix thoroughly. Line two 9x5x2 3/4 inch pans with two thicknesses of buttered brown paper. Pour the batter into pans. Decorate with candied cherries and blanched almonds. Bake in a very slow oven, 275 degrees, 3 1/2 to 4 hours. Keep a pan of hot water on bottom of the over while baking to keep cake from drying out. Bake at least 3 weeks in advance. 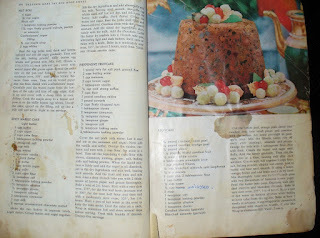 Keep wrapped in cheesecloth dampened with sherry or brandy, if you like. Wrap in aluminum foil. I hope you have a wonderful Christmas, and that all your wishes come true. E.C. (Eileen) Bell writes the Marie Jenner Mystery Series, and seriously loves Christmas! She can be found at www.eileenbell.com, on Facebook @ecbellmystery, and on Twitter @apocalypsewoman. 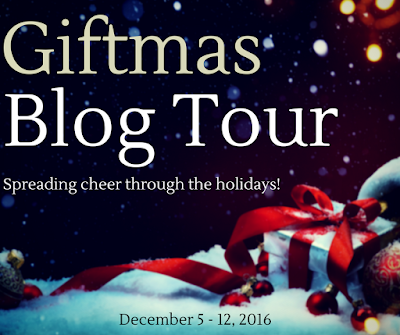 For our other story by Kara Reynolds, do hop over to Rhonda Parrish's website. If you've already donated to the Edmonton Food Bank, no matter how little, then you deserve a bear hug and a giant THANK YOU!